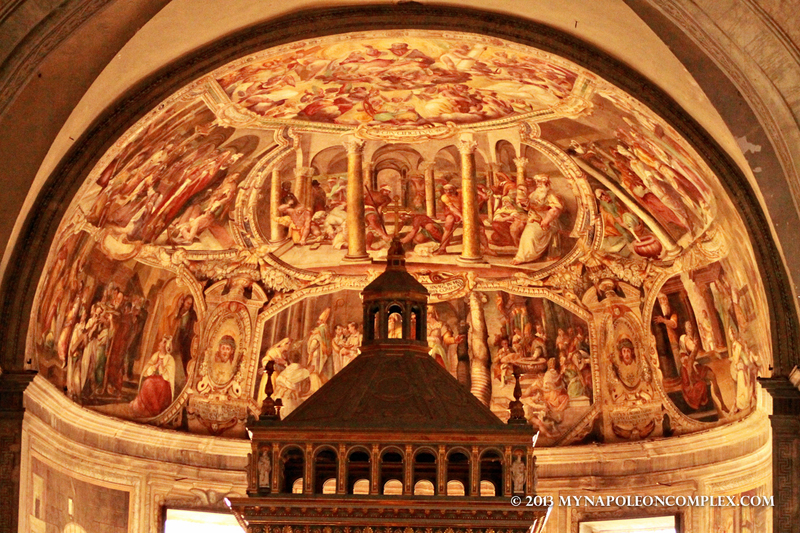 San Pietro in Vincoli was consecrated in the year 439 (whoa, right?) 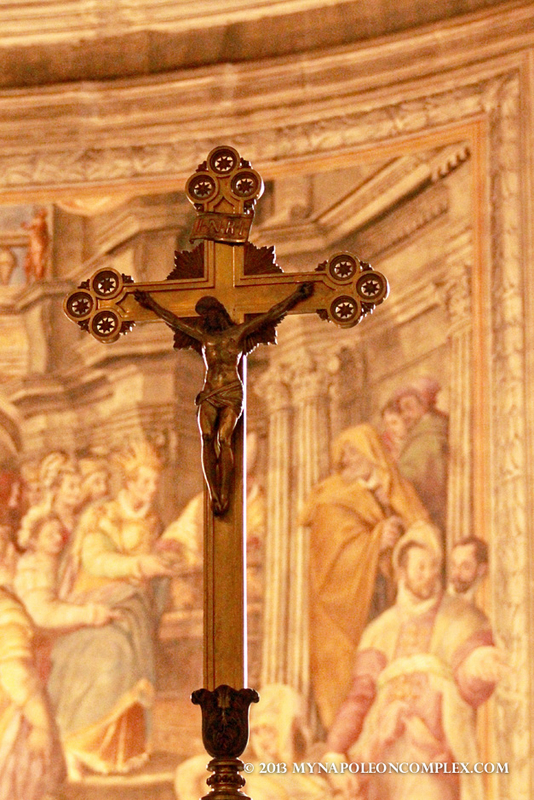 and famous for Michelangelo’s statue of Moses as well as the chains that bound St. Peter while he was imprisoned in Jerusalem. 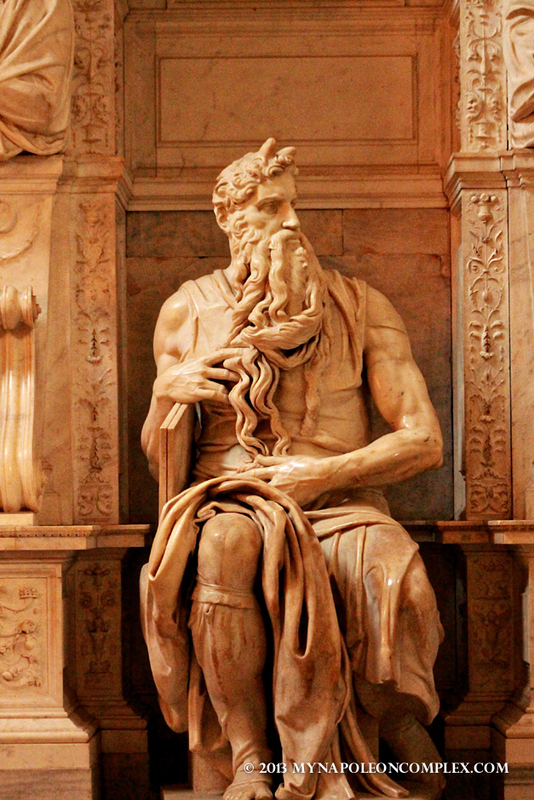 Michelangelo’s statue of Moses was commissioned by Pope Julius 11 in 1505 to be his tomb, but it wasn’t completed until 1545, on a much smaller scale than was originally planned. According to legend, Michelangelo felt this was his most lifelike statue and when he completed it, he hit the knee of the statue and said, “Now, speak!” The scar on Moses’ knee is thought to be the point where Michelangelo’s hammer struck (he sounds like quite the character). 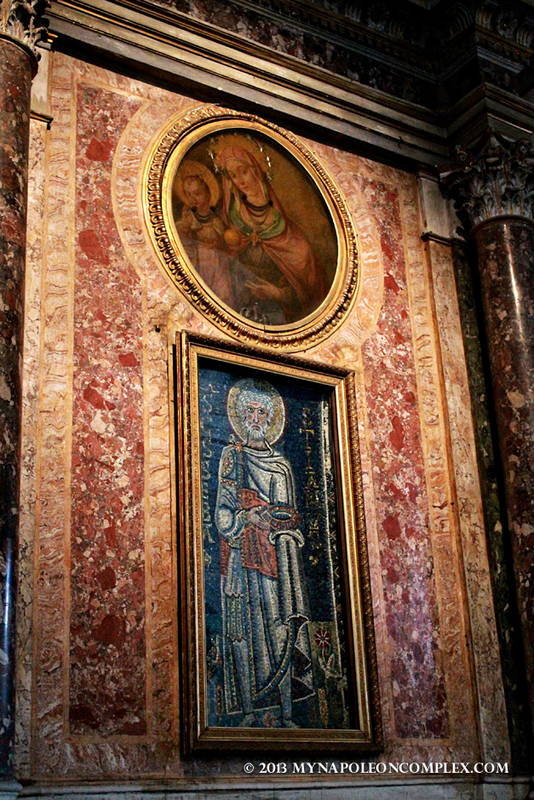 As for St. Peter’s chains, placed beneath the altar, legend has it that when Pope Leo I received the chains and compared them to the chains from St. Peter’s final imprisonment in the Mamertine Prison in Rome, the two chains miraculously fused together. 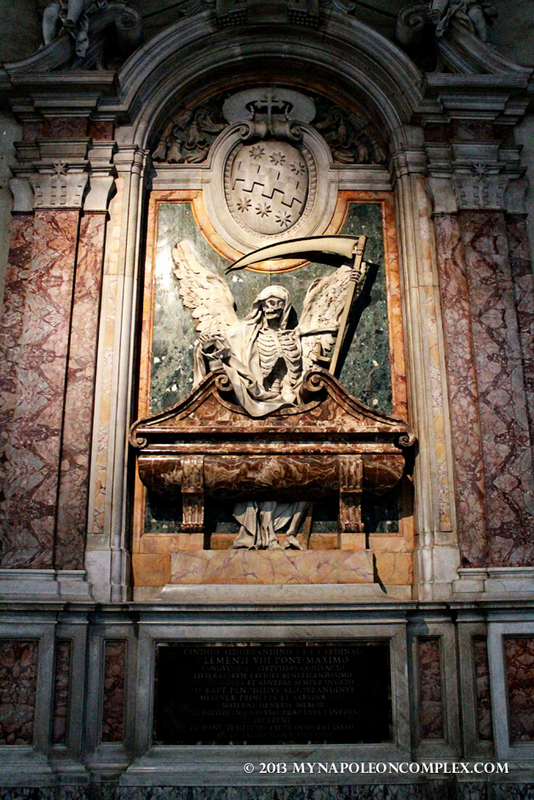 The Church has some pretty colorful stories surrounding all these relics, if you ask me, but they make for interesting trivia. 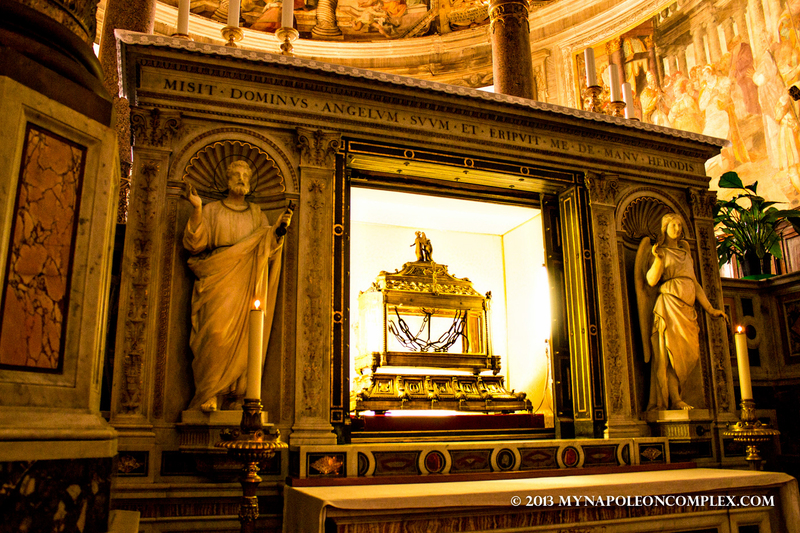 St. Peter’s chains beneath the altar. Not too sure about this guy, but still pretty cool. 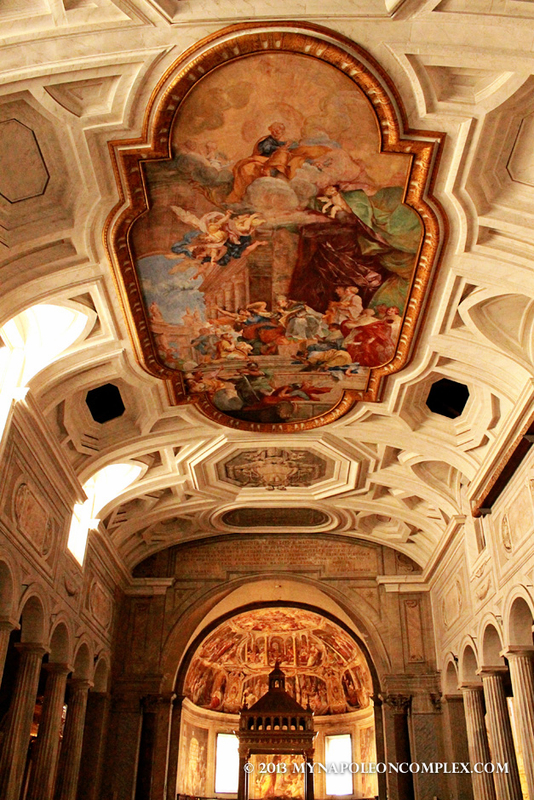 If you want to visit San Pietro in Vincoli, it is in the Monti area of Rome, near Via Cavour and also the Colosseum.